Rocking Chair - It's a Full Get-Away Experience! If you are seeking a new lake vacation destination this year, in any season, we highly recommend Norfork Lake in the Arkansas Ozarks. We're in the Twin Lakes region of the Arkansas Ozarks, about 35 minutes from Bull Shoals Lake and the White River. Lake Norfork is one of the cleanest, clearest lakes in the lower 48 states. Fed by mountain streams and cool refreshing springs, its sparkling waters reflect emerald green from the Ozark forests along its 550 mile shoreline. The moderate temperatures of the Arkansas Ozarks allow year-round action. If you need a break from the rat-race, no need to wait for spring - come on down any time of the year. Spring, summer, fall, or winter! * Store With Tackle, Beer, Ice, Snacks * 10 Min. To Shopping, Dining, Movies, Etc. The Rocking Chair Resort swimming pool is the largest on Norfork Lake. For 2012, we resurfaced the inside of the pool and outside deck. There are also toddler steps at one end so that the wee ones can enjoy a safe, cooling splash too. Our pool has a slide. The non-slip cement patio surrounding the pool presents the sunbather with comfortable patio furniture and plenty of room to stretch out. But pool activity does not stop at sun-down. We know the joys of a sultry summer eve swim. That's why the pool and patio are completely illuminated. Summer after summer we see families making friends as they and their children enjoy evening swims. Professional sport fisherman like Mark Martin and Al Linder enjoy staying at Rocking Chair because of a combination of amenities adding up to important non-fishing comforts. They like the quality of our clean cottages. They like our forested, quiet setting. They like the fact that while they go fish-crazy, there is plenty for their wives and children to do while Dad is fishing. They like the privacy, the protection, and the central-to-fishing -hotspots location of our illuminated covered boat dock. And when they come ashore, they have a choice of spending quality time with their family and friends around a bon-fire cook-out right here at Rocking Chair, or they can dine in town and catch a movie just 10 minutes away. Like you, the Pros and their families want the Full Experience too! Rocking Chair Resort accommodates large groups who enjoy getting together, catching up, and relaxing. The guests in the photo above have been coming to Rocking Chair Resort for over 30 years! View from inside our dock. Our 22' Hurricane deck boat and guests exploring Norfork bluffs at sunset. The private dock at Rocking Chair Resort is in a protected cove. The guests in the photo above have been coming to Rocking Chair Resort for over 30 years! Who says fathers can't communicate with their teen daughters? We accept Master Card, Visa, Discover, American Express, & personal checks okay. Completely Furnished Cottages each with A/C, heat, cable color TV, fully equipped kitchens, microwaves, Weber charcoal grill, picnic table, and lawn chairs. Some cottages also have decks. *Rates do not include a 9% tax on cabin and equipment rentals. Equipment, Materials and specifications subject to change. Extra persons $5 per day, $30 per week. No extra person charges for kids under 13 years of age. Each pet is $10 per day, $50 per week. Cottage rentals include a free stall for your boat. (Stalls sized for pontoon boats are extra). 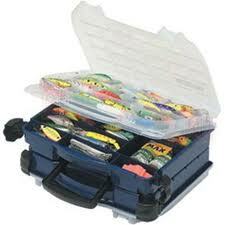 *Bass Boats include trolling motor, live well, & locator. Deck Boats include skis, vests, and tow rope. $50 deposit required on all boat rentals. Prices do not include fuel and 9% tax.